Committee Chairman Rep. Bob Brown, R-Thompson Falls, said the measures would restore balance to struggling elk and deer populations in his region. Opponents called the changes unnecessary and unethical. Brown’s HB 279 would allow reimbursements for costs related to trapping wolves. His HB 280 would add a discounted wolf license to the resident sportsman combination license package. Brown said the Idaho organization Foundation for Wildlife Management has a similar program. It attempted to establish a chapter in Montana, but could not because of the state law prohibiting bounties and prize awards for kills. The foundation claims it is “financially responsible for 79 percent of all wolves trapped in Idaho in the 2015-2016 season,” according to its website, F4WM.org. That included spending more than $225,000 in member sponsorship and sponsor dollars paid out for the killing of 415 wolves. The Rocky Mountain Elk Foundation contributed $25,000. F4WM offers reimbursements of $500 for any legally trapped Idaho wolf, $250 for legally hunted Idaho wolves, and $750 for wolves killed in parts of Idaho with lower-than-objective elk numbers. The Idaho Department of Fish and Game provided reimbursement grants for wolf trappers in several Panhandle, Clearwater and Southwest/Salmon hunting regions. That allowed the foundation to increase payouts in those areas to $1,000. To claim reimbursement, trappers and hunters must send copies of their receipts and their wolf check-in form to the foundation. Current Montana law prohibits giving prizes for killing any big game, fowl or fur-bearing animal or other animal protected by law. It does allow prizes of $50 or less for contests of largest antler, weight, and body length. 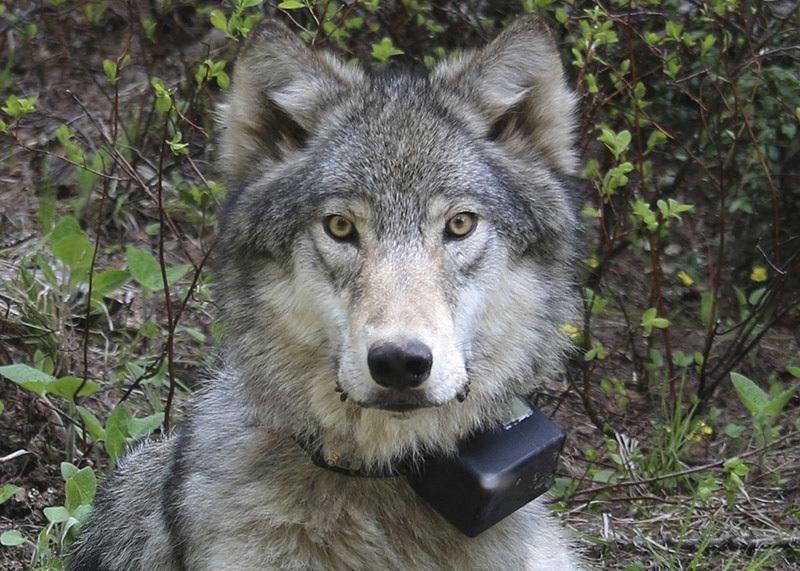 Montana has between 600 and 900 wolves, according to FWP wildlife coordinator Quentin Kujala. The state wolf management plan allows for very liberal hunting and trapping mostly without quotas as long as the population stays above a minimum 150 wolves. If the number falls below that, Kujala said, the federal government may consider returning the gray wolf to Endangered Species Act protection. Most of the state’s wolves live in FWP Region 1, in the northwest corner of the state. “You could draw a north-south line through Lewistown, and it’s rare you would see a wolf harvested east of that line,” Kujala said. This hunting season, the state has sold about 17,000 wolf licenses. That’s down from 2013, when wolf hunters bought 24,000. Last year, 24,217 Montana resident hunters bought a $70 sportsman’s combination package that includes tags for deer, elk, upland gamebirds and fishing. Another 19,226 bought the same package with a bear license included for $85. HB 280, if amended, would add a wolf license to that for an additional $10. Individual wolf licenses cost $19. Mark Cooke of Wolves of the Rockies opposed both bills, saying there was no reason to make hunting big game easier than it already is. Other speakers said they could support the discounted license proposal but not the reimbursement plan. Montana Audubon representative Amy Seaman called HB 279 the “Whiskey for Trappers” bill, adding it had no sideboards limiting what might get reimbursed. Ben Lamb of the National Wildlife Federation said his organization viewed the bill as a bounty on dead animals, and opposed that. Furthermore, he said increasing hunting of wolves wouldn’t get the result proponents hoped for. He cited scientific studies showing more hunting pressure tended to cause wolves to have more cubs and increase their feeding on deer and elk. Montana Sportsmen for Fish and Wildlife representative Paul Rossignol called HB 279 a stewardship measure. Retired wildlife biologist Paul Fielder of the Montana Trappers Association added the money would help trappers assist landowners who needed professional skills. Published: Feb. 11, 2019, 5 p.m.